24 Hours worship is an event with the aim of bringing people together to worship God, this year’s theme especially ‘in my presence’ invites all to dwell in the presence of God for 24 hours. The event featured some very powerful song ministrations, word, poetry and prayer sessions. It was so amazing to see people from different countries and backgrounds come together to worship God in all sincerity. During one of the praise sessions, I remember being amazed at how freely people praised and danced before God. I even saw people that would not normally stray from their seat out in the front dancing and clapping. How beautiful. I went into 24 Hours worship with certain expectations and I was not disappointed. Knees were bowed, arms were lifted and I believe lives were changed. What are the evidence of lives being changed? Well people were healed of pains and demons were cast out. But above all, lives were filled with the Holy Spirit. ‘Great and mighty God! Ki le o le se? Ki le o le se o (what is impossible for you)’ I tell you, ABSOLUTELY NOTHING! So what are my experiences of 24 hours’ worship? Well I think it is safe to say that the presence of God was made manifest in our midst, and I felt this physically a few times during the course of the 24 hours. HOWEVER, I did struggle to go deep into worship at the start. Thinking back at it now, this was because I was more focused on the worship of others around me than going straight to God with my worship. I lost focus for a while, trying to feed of the physical emotions of others but that got me nowhere. I was distracted. ‘Isaiah 29:13 The Lord says: “These people come near to me with their mouth and honour me with their lips, but their hearts are far from me. Their worship of me is based on merely human rules they have been taught’… that was the problem. My heart was not where it should have been (with God). At this moment in time, I was reminded of the word we had been getting in Genesis, which is to stay focused / not lose focus. When I was watching others around me worship, my heart was divided and I wasn’t able to present all of me to my father and therefore my worship was lacking. How to fix this? Remember the reason why you worship. Are you worshipping because others around you are doing it and you don’t want to be an outlier or are you worshipping because he is God (whatever that means to you)? As we continued into the event, I was able to direct my focus on to God and this made my worship easier, more natural and it did not feel like I was forcing it. I was also reminded that it is vital that we as Christians remain in the presence of God at all times. Towards the end of 24hrs God ministered to me that in his presence is where we will find peace which is something I have been seeking God’s face for. Now that #24hrsWorshipUK2016 is over for this year, what happens now? Do we continue with our daily lives as we were before the event and anticipate meeting with God again next year? No! We should live every 24 hours of our lives always in the presence of God because only then can we truly build a worthy relationship with Him. Finding and dwelling in that secret place where we meet with God on a daily basis to communicate freely with Him. (This is a major point I am taking away from this programme). 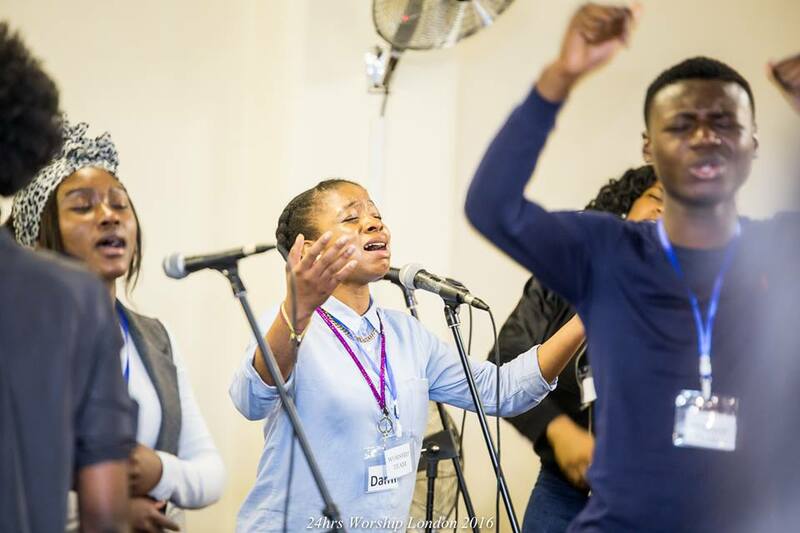 ⟵24 Hours Worship 2016 UK – Fellowship!